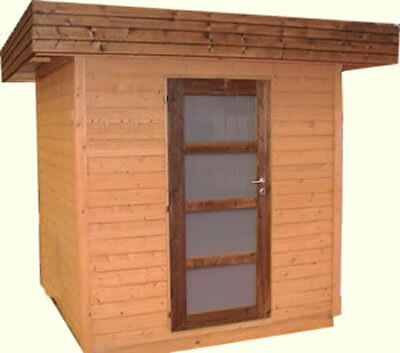 This range displays a selection of possible buildings to give you inspiration for ideas for your own contemporary shed. 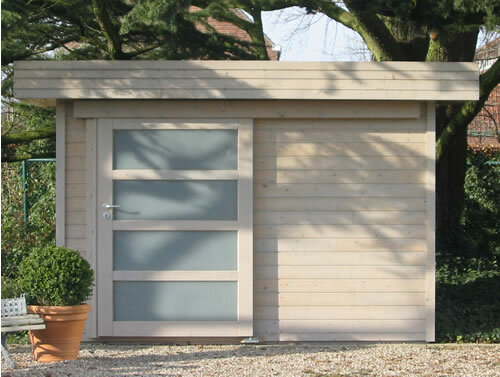 All the products are bespoke and can be made in an infinite number of combinations and design. 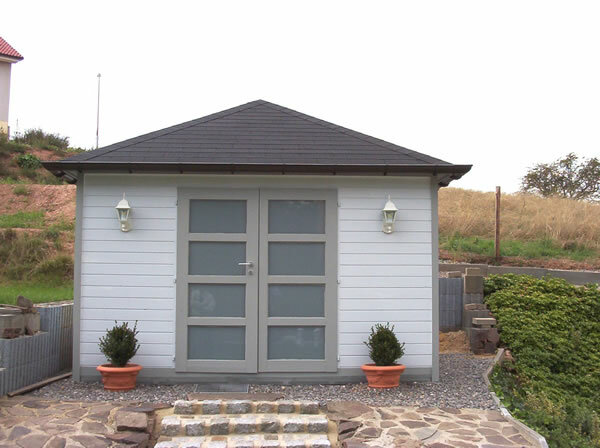 All of these sheds can also be supplied painted in any choice of colours. 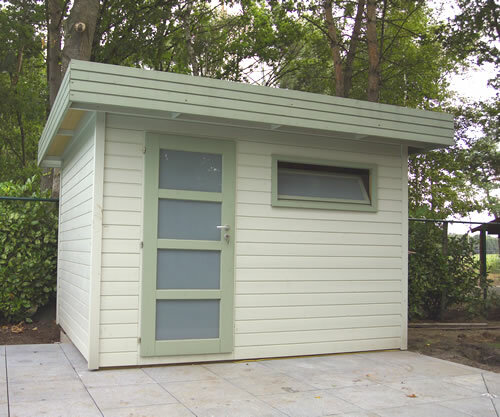 All these sheds are in panels for ways assembly and come with full instruction, fixtures and fittings and of course we can install them for you. 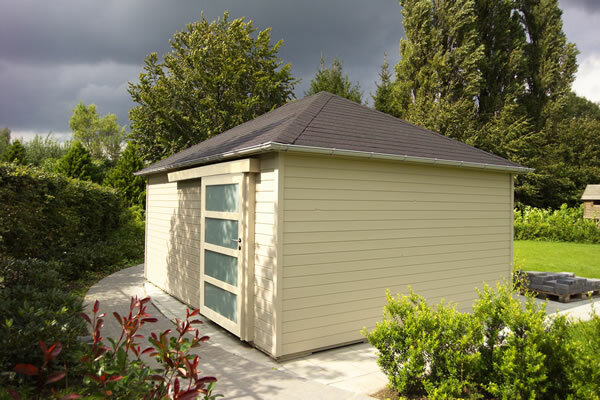 Unless otherwise stated these sheds are supplied with a good quality roofing felt. 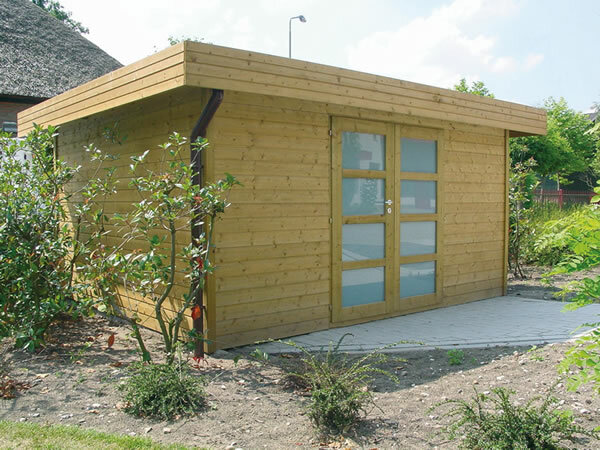 If you cannot see a building here that suits your needs or own personal tastes please let us know and we can discuss your requirements. 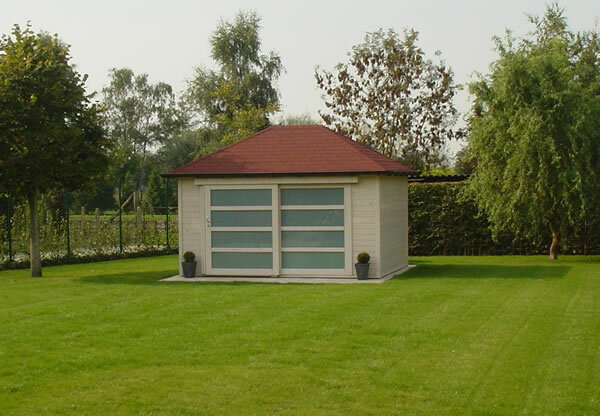 A contemporary shed with canopy, made to measure. 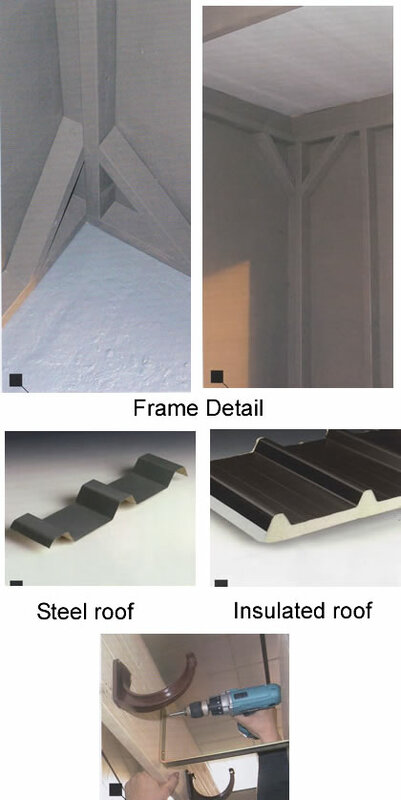 19mm Boards. 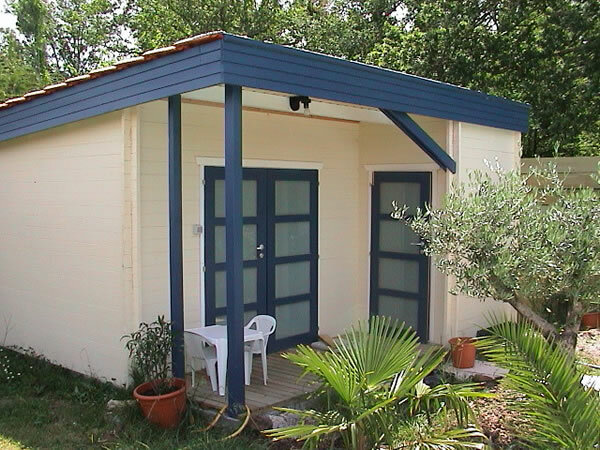 7'9"x7'9"
This oxford shed is perfect for positioning against a fence of wall. 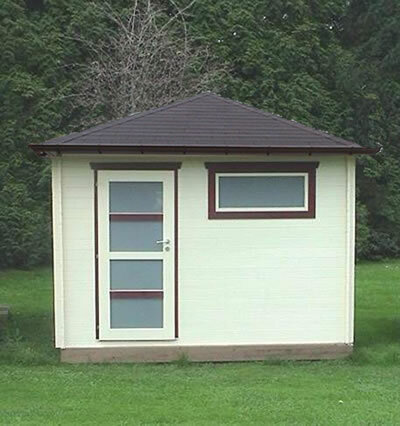 6'7"x6'7"